If you are not a Siberian Tiger you could be forgiven for imagining that Harbin is a city characterised by hostile temperatures. Even the Chinese inevitably ask how you coped with the bitter cold if you ever mention a trip there. However, those who have been to the Ice and Snow Festival in Harbin know that the crisp air and perpetual bright blue sky has an appeal not easily forgotten. Harbin’s unique sights, history, culture and cuisine make it one of the most fascinating cities in China. The name Harbin comes from the Manchurian ‘a place to dry fish’ but the Chinese have given it many names including the Ice City, The Moscow of the East, and The Paris of the East. On a summer evening, enjoying a beer and street performance on a terrace on Central Street, now one of China’s protected historical areas, you could almost be in Van Gogh’s Terrace at Night. Chinese flock to Harbin to escape the close heat of summer but it is as a winter wonderland that the place has come to be known. Harbin’s Central Street surpasses expectations. The cobbled avenue stretches for almost a mile through the centre of the city, lined on either side by perfectly preserved examples of Russian architecture dating back to the late 19th Century. In the 1920’s the area would have been full of contemporary music – now Central Street is mainly a shopping destination with most of China’s famous brands enjoying this great location. 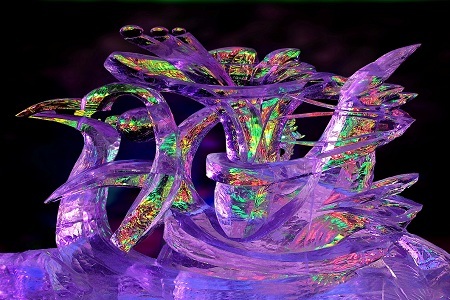 During the winter the street is adorned with Harbin’s famous ice lanterns, hewn skilfully from blocks of ice from the nearby Songhua River and ingeniously lit from within. These winter sculptures resemble ghostly chess pieces and are a fascinating adornment to an already picturesque part of the city. While the summer beer terraces are still months away, tourists can enjoy one of the many Ice-bars, or sit in the warmth of an Art Deco Café enjoying a bowl of warm Borsch. For shopping, Central Street is also connected to Harbin’s underground labyrinth of underground shopping malls which are great places to thaw out or pick up a quality down jacket. At the end of Central Street is the Flood Monument, and beyond that China’s famous Song Hua river. During the summer, the riverside path is a serene leafy boulevard full of Harbiners escaping from the city bustle for a stroll or to practise Tai-qi. In the winter, the frozen river becomes a playground for children and adults alike, with ice-skating, horse-rides – even ice-swimming for those wanting to demonstrate their hardiness. If you enjoy nostalgia and a sense of the past, the old Russian quarter of Harbin still has a bustling produce market which despite being run-down these days, is a hidden gem for those who want to step off the beaten track. One of Harbin’s distinctive landmarks, St Sophia’s Orthodox Church, is a five minute walk from Central Street. Built in 1907 Saint Sophia has a fairy-tale quality and is a favourite place for romantic walks and photo opportunities. Unfortunately, despite a pristine exterior, the only congregations in St Sophia’s these days are those visiting the architectural photographs exhibition which it now houses. 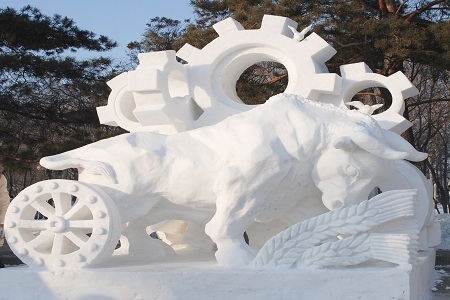 For the winter traveller, the Pièce de resistance is the annual Ice and Snow Festival in Harbin. As night falls, an area just north of the Songhua River is transformed into a spectral ice city. Behind the grand entrance – which in 2007 was an impressive copy of Paris’ Arc de Triomphe - is a surreal world made entirely out of ice. The scale of the castles and monuments is such that most can be explored via ice-staircases and there is usually a slide for those who like the quick way down. 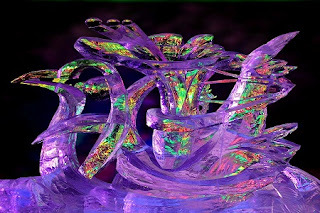 The entire ice-world is lit ingeniously with LEDs which give the whole place an eerie and fascinating glow. In such extreme temperatures it is essential to dress accordingly. A quality down jacket is the obvious choice (and widely available in Harbin in a refreshing array of colours and at a fraction of the UK price). Proper shoes, ideally with good grip and preferably lined (also available very cheaply in Harbin) make the experience much more enjoyable. To warm up, there are many ice-cafés and restaurants for you to retreat to and warm up those camera batteries (which are likely to have gone flat very quickly unless tucked into a warm coat). 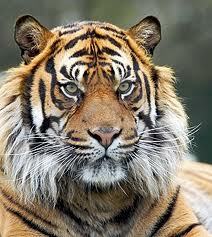 One of Harbin’s residents better suited than us to the harsh winter is the Siberian tiger which you can see in the safari-park style Siberian Tiger Park. However, the lunch-time feeding slot is not for the faint hearted as a live-lunch of chickens and calves is often on the menu. Another gem in China’s Heilongjiang province is the Snowlands, which is about a five-hour drive from Harbin. The picturesque winter landscapes are a favourite with photographers and the locals brighten up the long winter with regular firework displays and fetes. 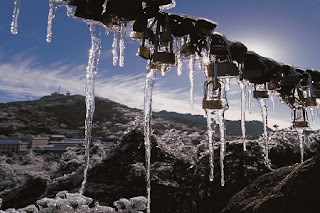 You can choose to meander through the winter landscape or even trek up and enjoy the vista at Shuangfeng from 800m above sea level. For those who enjoy creature comforts horse-drawn sledge rides can be arranged before going back to enjoy a home-cooked meal at one of the Snowland’s many Homestay cottages. Lastly, any description of Harbin would be incomplete with mentioning food. Harbin is famous for back-to-basics “North-East” cuisine where rich, intoxicating flavours come as standard, without fussy presentation and at a price that everyone can enjoy. Classics include Chinese dumplings, and ‘baozi’, a kind of steamed bun, cooked fresh and filled with meat or vegetables – which taste even better when it’s minus 15. The region is also known for what the Chinese call “rustic” cuisine, characterised by stewed local meats and fresh seasonal vegetables. China Holidays offers a unique opportunity to experience this winter wonderland with an itinerary which gives you the chance to see why so many Chinese brave the cold to visit Harbin. 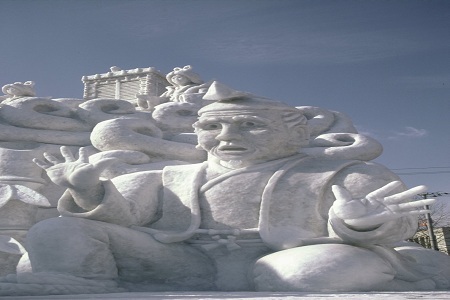 The China Holidays Ice and Snow Festival in Harbin tour is a perfect opportunity to enjoy this distinctive city, the warmth of the local Chinese as well as striking architecture and great food - making this a perfect introduction to China’s North-East.